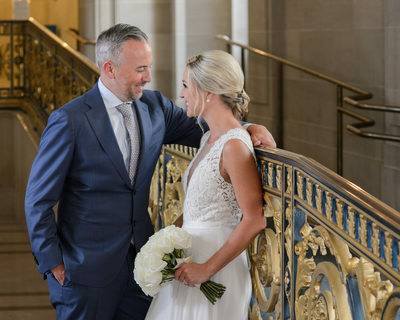 Amy and Patrick City Hall Wedding Gallery - SF Tour and North Beach Reception. 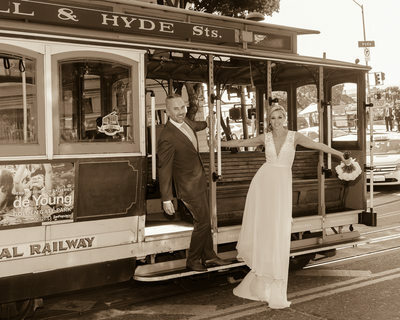 Amy and Patrick wanted our San Francisco Tour package, but also added some reception coverage. 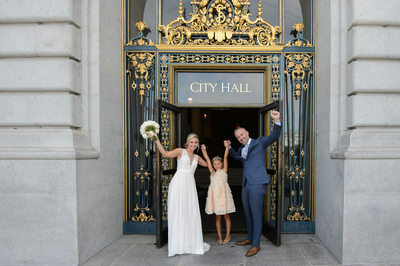 They had a relatively large ceremony by City Hall Standards followed by our photos around the building. The plan was to also visit Ghirardelli Square and hop on a Cable Car. We then finished up the tour with a visit to The Buena Vista Cafe for some Irish Coffee. 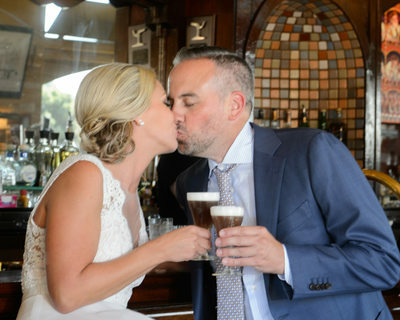 We took some photos of them toasting at the bar and it was a great way to end the photo tour. But that didn't end our day with them! 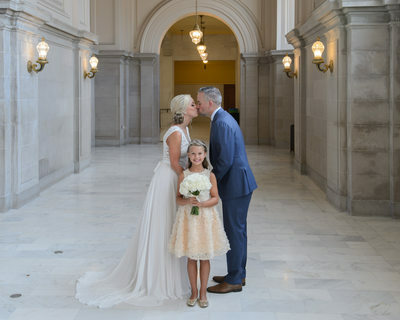 We also included Reception coverage in this particular package in the North Beach area. 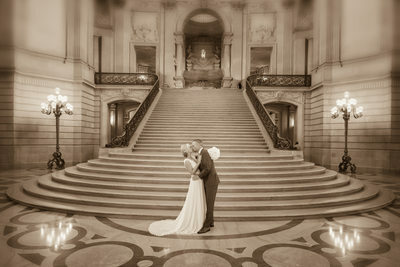 I love North Beach and particularly enjoy when wedding photography takes me there. 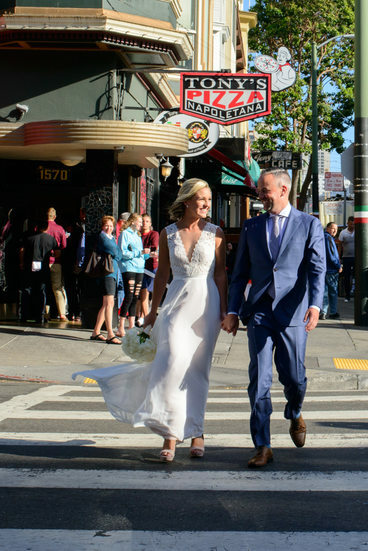 Inevitably, any couple visiting North Beach will want a pasta taste or some Espresso. 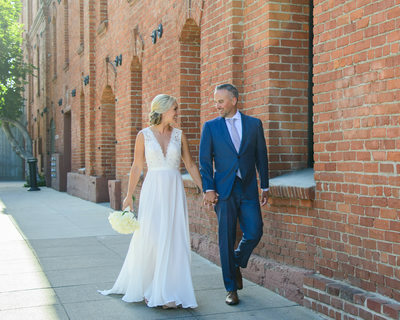 Let of great opportunities for natural photography of the bride and groom just enjoying their day in what is also sometimes know as Little Italy. 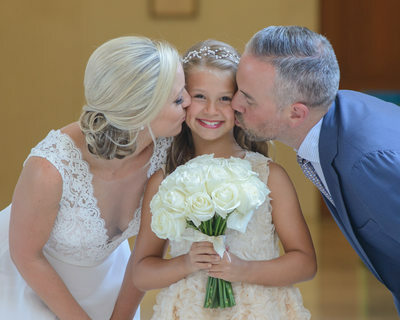 One of the particularly fun things about this wedding photography shoot is that the couple's daughter joined in and we were able to get some great shots of her with the married couple. She was a real trooper and followed us everywhere and never complained. 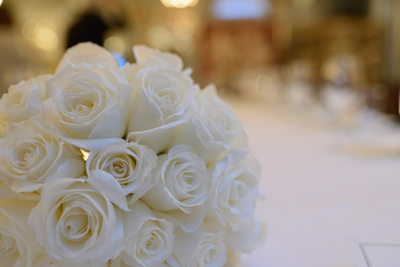 Once we arrived at the reception location in North Beach we took some shots of the decorations, flowers, etc. We then went on a mini tour of the Washington Square area including a very fun visit to the Hat Shop. 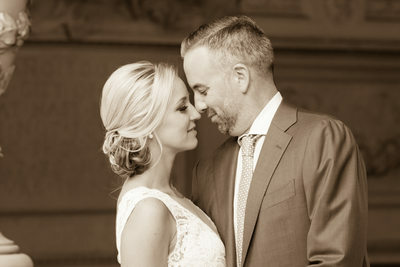 I have brought other couples there and it always results in some great wedding photography. I am actually thinking of purchasing my own hat there soon! 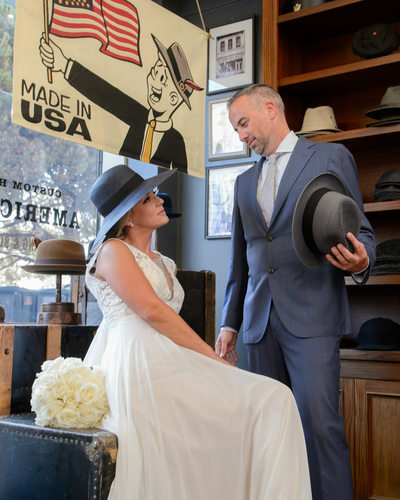 Check out the gallery to see some of images from North Beach's hat shop. Their coverage ended with us getting some nice candid walking shots around North Beach with some famous restaurants in the background for effect. 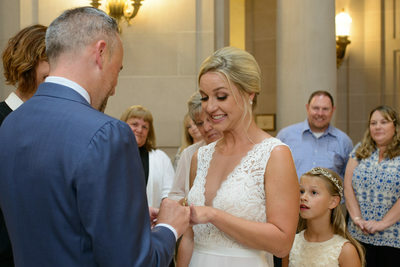 We would just wait for the light to turn green and have the newlyweds cross the street (carefully) while holding hands and enjoying each other. 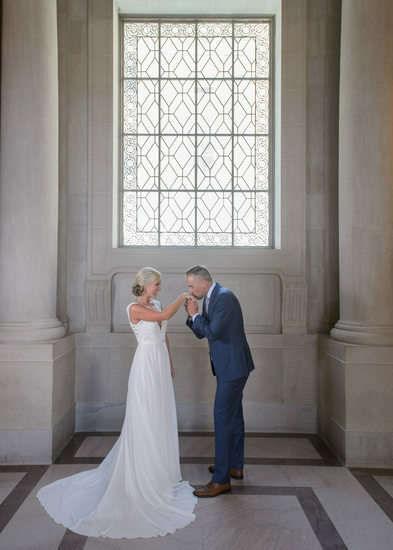 We made a brief visit to the actual Reception spot and got a few nice shots there as well. A great day overall and fun for everyone involved. 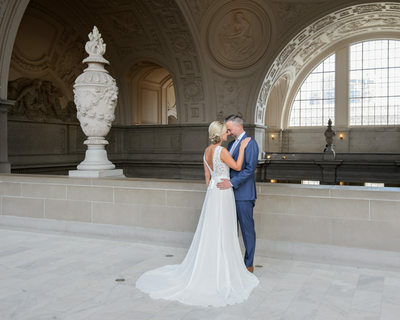 Click to return to the Home Page or go back to the Gallery page for more wedding samples featuring different packages and other locations in San Francisco.